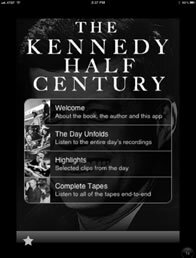 "The Blackbox from the crash that occurred on 11/22/63"
Listen to all the Dallas Police recordings of the entire day of the assassination. Explore new mysteries. View new audio research conducted exclusively for the new paperback. 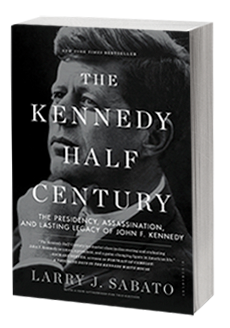 The Kennedy Half Century is a NY Times bestseller! View the results of the audio research done on the Dallas police recording. View the results of the national polling commissioned by Professor Sabato. Watch the Press Launch: Sabato unveils new finding on JFK assassination.